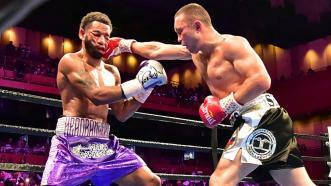 Former two-division World Champion Lamont Peterson takes on former Super Lightweight World Champion Sergey Lipinets in a Sunday showdown on FS1. 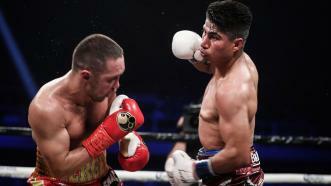 Mikey Garcia becomes a four-division world champion with unanimous decision over Sergey Lipinets on March 10, 2018 on Showtime. 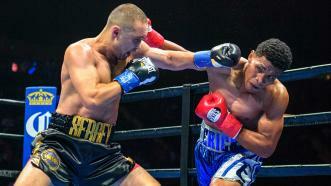 With the victory Garcia joined Manny Pacquiao and Juan Manuel Marquez as the only fighters in history to win titles at 126, 130, 135 and 140 pounds. 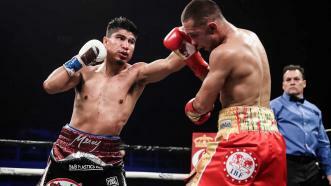 Mikey Garcia becomes a four-division world champion with unanimous decision over Sergey Lipinets on March 10, 2018 on Showtime. 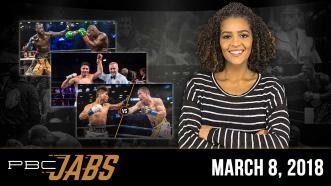 This week on PBC Jabs, we recap our BIG March 3rd Showtime card, Jessie Vargas, who replaces Omar Figueroa in the April 21st Showtime bout to face Adrien Broner, checks in to discuss his upcoming fight and we preview our March 10th Showtime show. 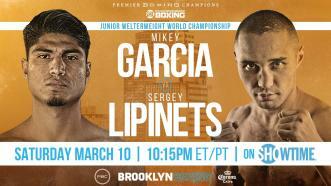 Mikey Garcia and Sergey Lipinets take to the ring to battle for a junior welterweight world title on March 10, 2018. Watch the fight on Showtime at 10:15pm ET/PT.